My new book, Free College, shows how to avoid massive college loan debt. It includes the steps used by successful Full-Ride Scholarship winners. It's a valuable tool for parents, grandparents, teachers and anyone in the lives of Pre-K through High School students. Help students earn more free cash for college and graduate debt free. Free College is available now. To buy, click the red link above. If interested in making a bulk purchase, send me an email, FreeCollegeInfo@earthlink.net. 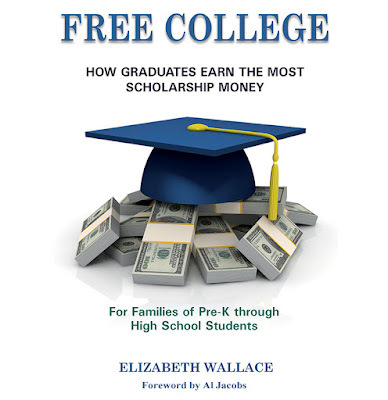 For daily updates to help students earn more free money for college, check out my Twitter feed, @elizawallace27.